Looking at all of the printers out there, Graphic Prints and Marketing Services is your best choice for your high quality booklet printing needs. We offer two different sizes: 5.5" x 8.5" and 8.5" x 11" depending on what size of booklet you need. We offer 4 different paper types depending on the thickness of paper for your end product. 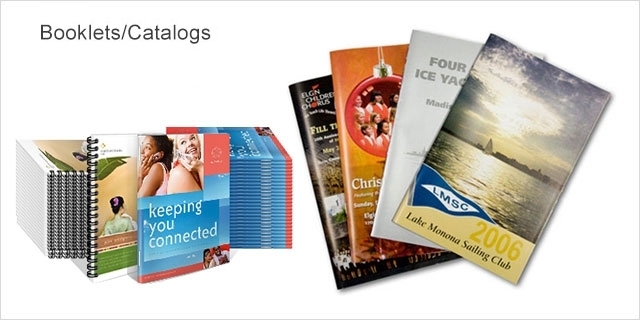 Whether your booklet is 8 pages or your catalog is 96 pages, we print all page lengths in between. Whether you are printing product catalogs, company magazines, event programs, or instruction manuals, Graphic Prints and Marketing Services is best choice to deliver a quality product with a fast turn around time. Design Using our Templates Choose and customize one of our designs. © Copyright 2016 SA Labels Printing LLC. all rights reserved.